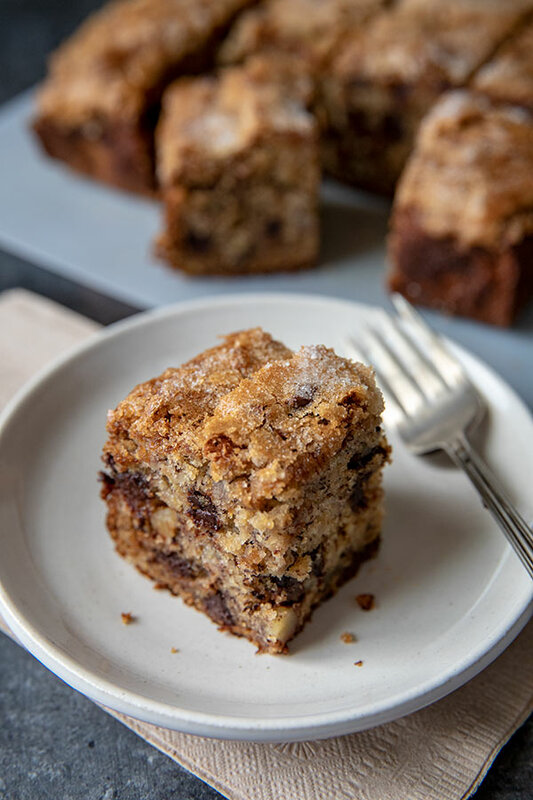 Chunky Monkey Banana Bread Snack Cake loaded with walnuts and semi-sweet chocolate chips with a crackly sugar top. 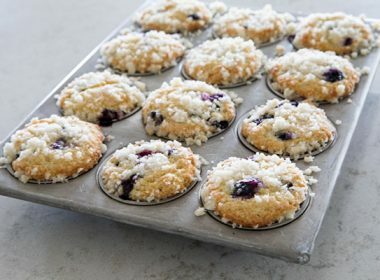 Perfect as a snack with a glass of milk, a quick breakfast, or even dessert. 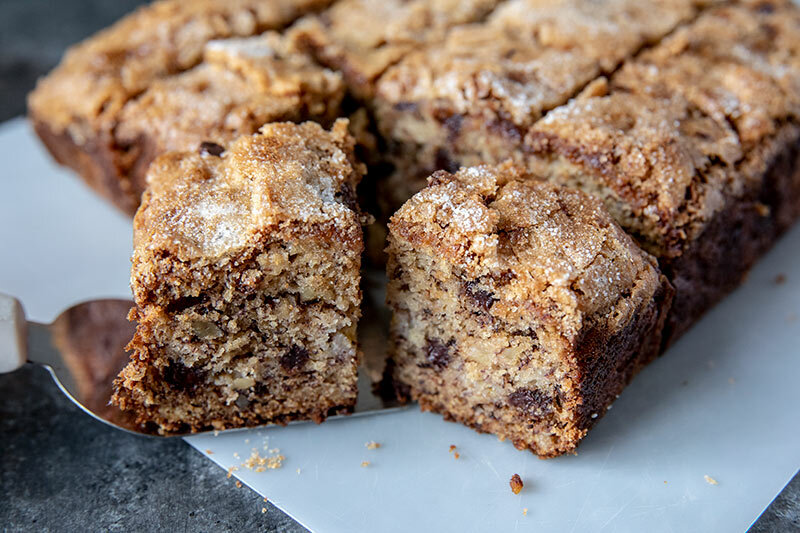 My good friend, Carol, mailed me this banana bread snack cake recipe on an index card along with some local treats from her area to try. She said it’s one of her new favorites and a must try. Carol first saw the recipe on Let’s Dish, but changed it up by adding walnuts and chocolate chips. I don’t know about you, but when I hear bananas, walnuts, and chocolate, I automatically think of Ben and Jerry’s Chunky Monkey ice cream. 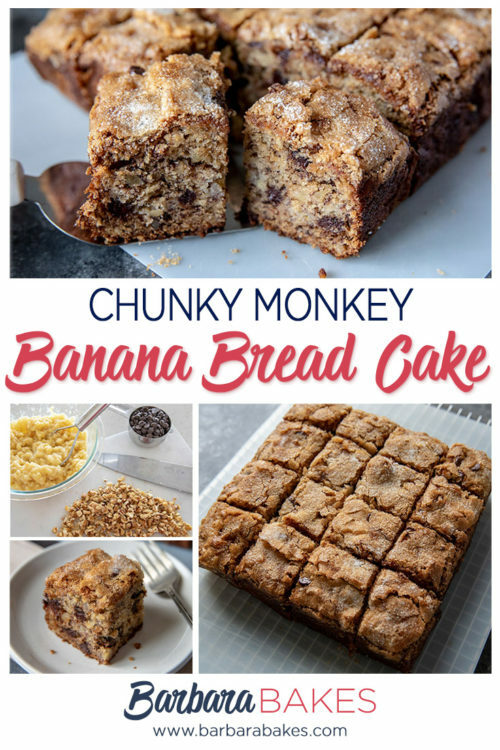 So I renamed this banana bread snack cake Chunky Monkey Snack Cake. In addition, I also made a couple of other changes to the recipe. 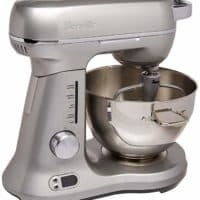 I prefer to mix the dry ingredients first so they’re ready and waiting to be used. I also prefer to line my pan with aluminum foil so it’s easy to lift out of the pan. Once the batter’s in the pan, you sprinkle granulated sugar on top of the batter. As the banana bread bakes, the sugar melts and gives the top a delightful crackly top. 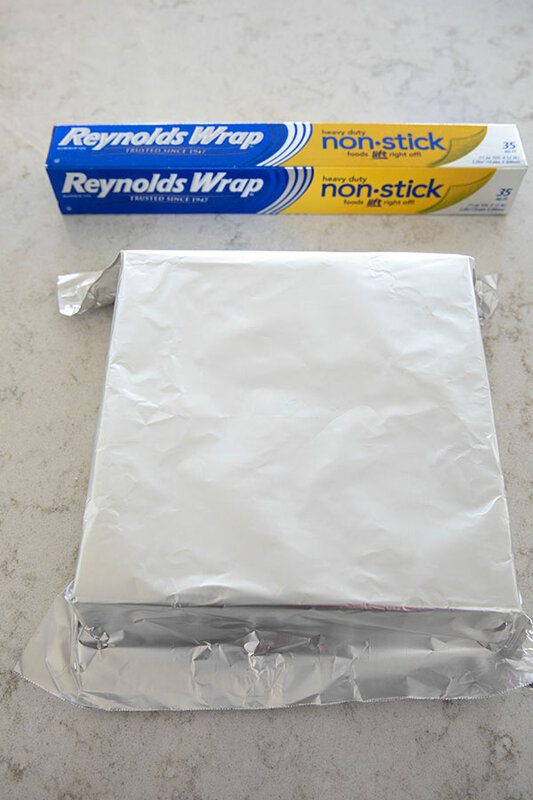 Lately, I’ve been using the Reynold’s Wrap non-stick foil. Have you tried it yet? If you fold the aluminum foil around the outside of the pan first, then remove it, it fits easily inside the pan. Carol added mini chocolate chips, but I decided to use regular semi-sweet chocolate chips so it would have that more chunky feel. Either would work well in this recipe. 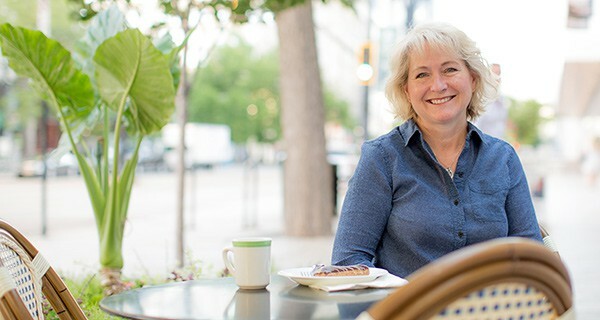 Danelle used pecans instead of walnuts. My husband loves walnuts in his banana bread, but if you prefer pecans, definitely use those instead. 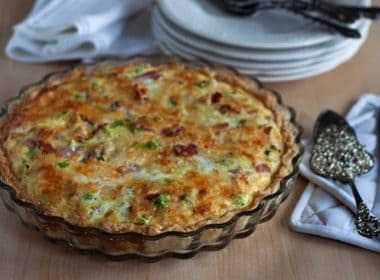 You can use either a 8-inch or 9-inch square pan when making this recipe. 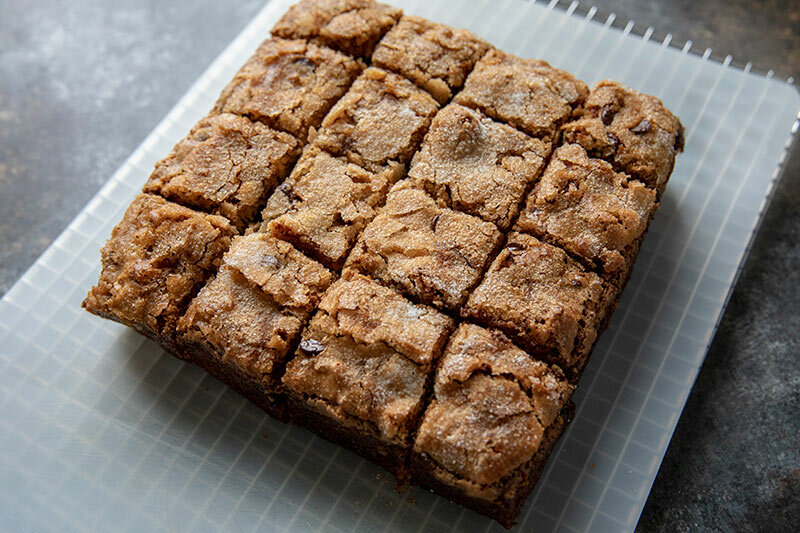 I used an 8-inch square pan and cut the cake into 2-inch pieces which is the perfect snack size. If you’re serving it for dessert you may want to cut it into larger pieces. Here’s a good tutorial for cutting nice even pieces. My husband and I were both crazy about this cake too. Thanks so much for sharing it with us Carol! 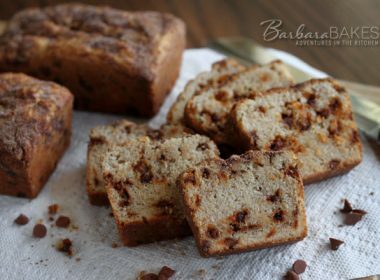 If you love banana bread, you’re definitely going to want to bake this asap. Preheat oven to 350 degrees. 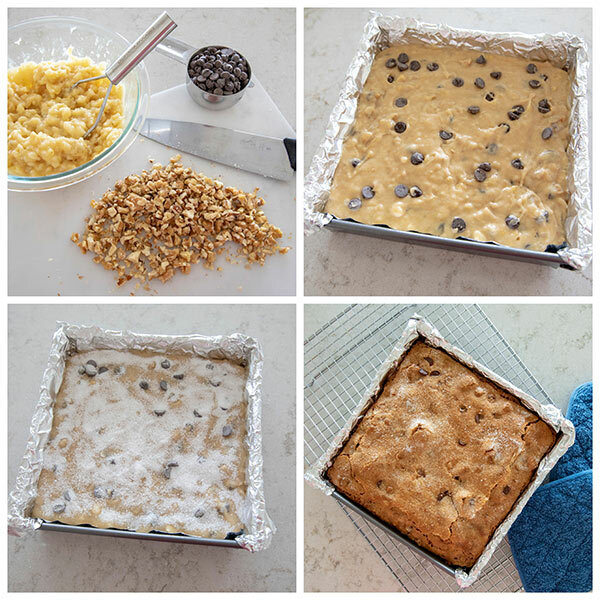 Spray an 8 or 9-inch square baking pan with nonstick baking spray or line with parchment paper or aluminum foil. In a large mixing bowl, beat together the melted butter and brown sugar. Add eggs and vanilla and beat until well blended. Mix in the bananas until combined. Add the dry ingredients to the wet ingredients and stir just until combined. Stir in the walnuts and chocolate chips. Pour the batter into the prepared pan. Sprinkle the granulated sugar evenly over the top. Bake for 45-50 minutes or until a toothpick comes out clean when inserted into the center (about 200° in the center with an instant read thermometer.) Let the bread cool slightly in the pan on a rack. Cut into squares to serve. 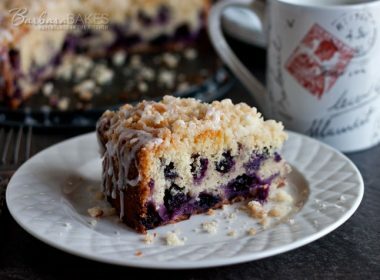 I’d bake this just because I love the name so much! Another great one! 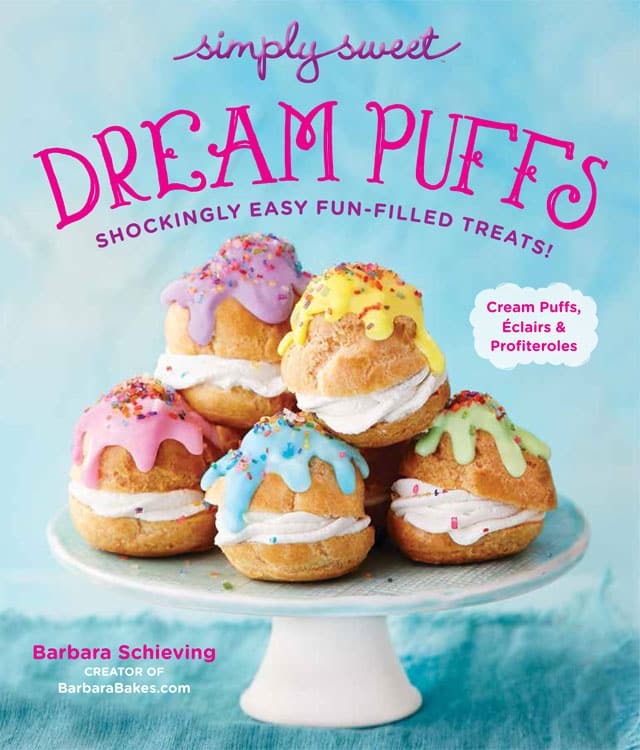 I’m SO glad you tried this recipe, Barbara-and I LOVE your spin on it….especially the title. 🙂 Would you believe I’ve never tried Ben and Jerry’s Chunky Monkey ice cream? Go figure-a New England girl has never eaten Ben and Jerry’s ice cream. I don’t even have a good excuse as to why either! I do love that nonstick foil. I use it a lot when I blind bake pie shells….I place the nonstick side on the crust then add the pie weights…no more foil sticking to the partially baked crust. I haven’t used it for cakes yet-for some reason I usually just grab the regular foil. I’m so happy you and your husband enjoyed it. We just had the last few pieces of the last one I made and froze, Time to get another one baked to restock the freezer! 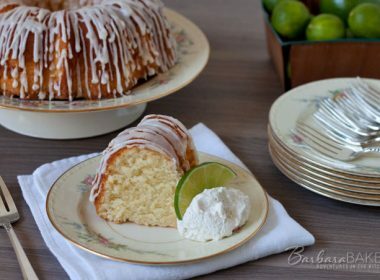 Thanks so much for sharing the recipe Carol! How smart to put some in the freezer for later.